As many of you know by now, it has been reported that SK Telecom T1 has bought the Revolutionist, Bisu from MBCGame Heros. SKTelecom's decline in Proleague ranks during the past years called for drastic changes. And drastic they were. Despite leading the team to victory over 3 Proleague Finals and a Grand Final, achieving what was called the "Over-Tripple Crown", the entire SKT1 coaching staff was released from the team, taking blame for the continuing decline. While interviews began for a new coaching staff, the company temporarily (and perhaps permanently) promoted progamers Oov and Kingdom to coaches/players. The second move was to find a powerful protoss player. During their reign as champions SKT1 had a powerful terran line backed by a powerful protoss line, consisting of Kingdom and RainBOw as key players. But as the years passed, both players fell off the ranks, Kingdom fighting a difficult shoulder injury, and RainBOw being demoted to B-Team. With the protoss lineup exposed, SKT1 was in dire need for new blood. Currently the only reliable Protoss SKT1 has is the rising star Best, who's macro-heavy style has helped T1 gain a few victories. And to add to that lineup, SKT1 turned their eyes on the Revolutionist. And that is where we stand. MBCGame has noted that there has been no hard feelings between the team and the player, nor was there any salary troubles (as was the case with July's move from MBC to SKT). Rather, both teams offered deals that were needed by the other, and both teams recognized that the trade was for the better future of the player, the teams, and eSport in general. It is reported by fomos that Bisu himself didn't have complaints to the ordeal. What kind of changes Bisu will be able to make in SKT1, only time will tell. As far as past experiences go, players usually do not perform well when they move from team to team, but for the sake of Bisu and his millions of fans, let's hope that is not the case. It is reported that SKT1 paid a transfer fee of 200,000,000 Won for Bisu, which estimates to about $200,000 USD. On the Chinese New Years day, Oov posted a letter to his fans on his fan cafe. The letter explained his situation, and his future. A few months ago, FiFo reported that Oov had slipped in the shower and cut his wrist. The injury was serious enough to hinder his practice, and for awhile he was unable to practice for long periods of time. With an already whithering drive, and an injury that was not healing, Oov admits that he was contemplating on retirement. That's when SKT1 approached him with an offer. As explained above, SKT1 was ready to make changes. As Oov's future as a progamer hung in the balance, SKT1 spoke to him about becoming the new T1 coach. To Oov and SKTelecom, the timing was perfect. Rather than leaving the progaming scene forever, Oov was given a chance to Stay with his team, and rebuild what he was once a part of. Meanwhile, Kingdom faces a similar situation. Kingdom had also sustained a serious injury, a shoulder injury that gave him two choices: enter a long-term physical rehab program or undergo surgery. After discussing the matter with his family and friends, Kingdom underwent surgery with success. However, the problem still existed. With surgery comes recovery, and recovery takes time. SKT1 approached Kingdom with the same offer. Whether Kingdom will official retire as a progamer like Oov, or attempt to comeback as a player once he recovers is yet unknown, but at this point, it is likely that he will follow Oov. The choice to make Kingdom and Oov coaches were, perfect. SKT1 needed a temporary fix, Oov and Kingdom needed a different role. Both are seniors in the team, with plenty of leadership experience. It is, perhaps, the best choice. After all, we'd rather see them constructing their team from behind rather than fall away from progaming all together, don't we. He cast a dark shadow over progaming when he was in his prime. I doubt anyone who was around to witness it will soon forget him. 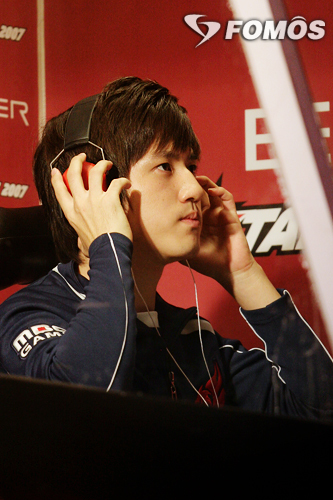 As for Bisu, I'm sure he'll do well wherever he goes. First July and now Bisu. SKT is the new KTF? Slipped in the shower and cut his wrist?? Hmm. This is big news.. But I have to admit I thought the line "Kingdom fighting a difficult shoulder injury" was funny. he was jerkin it too much. and oov was trying to kill himself cuz he's been newbing it up. they just create clever backstories to cover up the injuries. I wish them both luck. They've provided much entertainment over the years, and I'm glad to have known of them. Starcraft will seem a little emptier, now, for a lot of people. Bisu is coming back to his very mate - July. Period. Bisu in a skt1 uniform is gonna be awesome. oOv as a coach should be interesting. Ouch @ oov's wrist =X. I did not see this coming at all, but good luck Bisu. 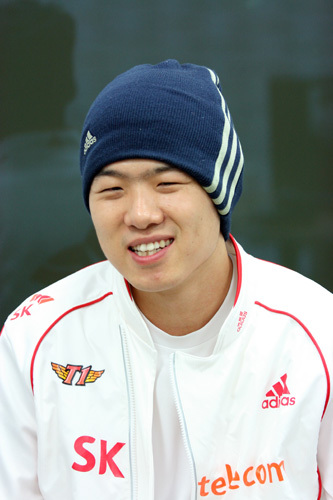 Too sad to hear oov retires He is my second favorite terran besides boxer . Meh, I'd rather seen Bisy stay with MBC, but who knows, maybe some extra time in the PL will do him good. FOOL! Pain is my friend! Now let me introduce you to it!